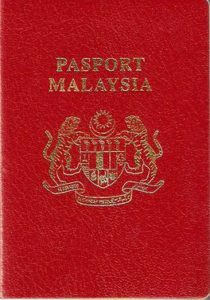 PETALING JAYA: The Malaysian passport is the fourth most powerful in Asia, maintaining its position for two consecutive years. In the rankings published by The Henley Passport Index, holders of the Malaysian passport can travel to 166 countries visa-free. In rankings published by Arton Capital’s Passport Index in April last year, Malaysia was ranked as the fourth most powerful passport in the world with an overall visa-free score of 156. Malaysia was tied with Japan in that index. According to its website, the Henley Passport Index itself ranks passports of the world according to the number of countries its holders can travel to visa-free. Malaysia, which was placed behind Singapore, Japan and South Korea in Asia, is also ranked 12th overall in the world out of 199 countries. The country was placed 13th in the world in 2017. Germany grabbed top spot on the Index with visa-free access to 177 countries while Singapore was ranked second in the world, with its citizens able to travel to 176 countries without a visa. In joint third place, European countries dominated the list with a lone Asian country in its midst. Denmark, Finland, France, Italy and Japan were placed third overall, with their passport holders able to travel to 175 countries visa-free. South Korea was placed fifth in the world with its citizens enjoying visa-free access to 173 countries. In the Asean region, Singapore and Malaysia were placed in the first and second position respectively, far higher than their neighbours Brunei which is placed at 22 in the world, followed by Thailand (64), Indonesia (72), Philippines (72), Cambodia (86), Vietnam (88), Laos (88) and Myanmar (92). The least powerful passports in the world went to war-torn countries Syria (102), Iraq (103) and Afghanistan (104).